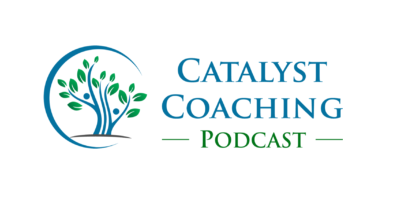 Welcome to the Catalyst Coaching Podcast. My name is Brad Cooper, I’m your host. We’re going to take a little different slant with this one. The focus of today’s podcast will be helping you avoid the fads. When you look at health and wellness, there’s a lot of stuff out there that is well, frankly, it’s just opinion and people get on their high horse and they’re all excited about something and they see a headline and they jumped on it and we don’t want you to be that kind of a coach. You’re better than that and we want to help you with that. At least to get started, you’re going to need to do this reading on your own, on top of what we present here, but every once in a while I’m going to walk you through just a couple of studies, research studies, that will help you get your arms around some of the key data that’s out there and hopefully spark your interest in looking into it in greater detail. Now, before we get started with this one, I just want to mention a resource that may sound kind of funny, but it is a great resource for staying up to date if you pick the right people and that’s Twitter. I didn’t use Twitter forever and then when I started my PhD program I started following a couple of professors that were experts in my area and then a couple others and then a few journals and wow, it is such a great resource for seeing the latest research in the areas that you’re interested in. Again, be careful because you got a lot of people on twitter who just used that as a soapbox to spout off their, again, opinions. But if you want to look for peer reviewed research and that’s what you’re looking for, peer reviewed research, not just Brad saying, you know, I think it’d be great… Who Cares? We need the research to back up what we’re doing, so that’s going to be the approach that we’ll take. Every once in a while we’ll throw one of these in and our hope is that it sparks your interest in going beyond the headlines because, remember, when you see an article in the newspaper, what’s the newspapers goal? Yeah, they want to inform, but ultimately they’ve got to sell newspapers. TV, what’s the old saying? If it bleeds, it leads. The information that you hear from newscasters, well meaning, you know, I’m not saying they’re doing anything wrong. They’re looking for the headline. They’re looking for the dramatic, that eye grabber. That makes you go, oh, wait what? And makes you buy the magazine, the newspaper, turn on the television, etc. Peer reviewed research journals, very different. First of all, and I’ve learned this the hard way, I’ve written a column for a national magazine for about 17 years and it takes me maybe a couple of hours, start to finish, to put that together. Thankfully, I’ve got a great editor that cleans up some of the things that I may not do such a good job with, but literally, a couple hours start to finish. As I started my PhD program and put these research studies together and then hand putting the writeup together, it’s months, literally months, hundreds and hundreds of hours writing things up. So when you pull up a peer reviewed research article, know that there’s a lot that’s gone into that. As health and wellness coaches, it’s not our job to be lecturing people. We know that, but it is our job to stay up to date on the latest research, not simply headlines. So anyway, I’ll get off my soap box. One of the people, if you are going to check out Twitter, or maybe you’re already on there, one of the gentlemen that I have really enjoyed and he does a fantastic job with this, is @SweatScience. His name is Alex Hutchinson and he’s the author of Endure, the book that came out in 2018 and what he does, he’s a PhD and he goes in and looks at the latest research. In fact, it’s very similar to what we’re going to do here on this podcast, occasionally, where he dives into the latest research and then makes it practical for his readers. So if you’re just getting into Twitter, he’d be a great one to start off with and then you can build off some of the research studies that he’s reviewing. Maybe you want to follow the professor or the researcher that put that article in place. So in any case, we’re going to cover two different topics today. Let’s talk about this first one it’s titled Optimizing Sleep to Maximize Performance: Implications and Recommendations for Elite Athletes. It comes from the Scandinavian Journal of Medicine in Science and Sports. The lead author is N.S. Simpson and it was accepted for publication on April 27th, 2016. So you can look these up. So let’s jump in. Now first of all, this is a review article, so it’s not a specific study which probably is of greater value to you as a health and wellness coaches to get the broader value. There will be times that you want to dive into a specific study and really peel everything back. But generally speaking, these reviews are incredibly valuable because they are pulling together dozens and dozens of research articles and putting it into an easy to read format, relatively easy to read format, that goes through the key areas. So again, this is about optimizing sleep in athletes. It is so interesting. Every single element is applicable to us as individuals and what we’re doing with our work, our play, our relationships, and our health and wellness. Let me just run through some of the highlights here. Again, you can look it up if you want to dive in deeper. They start off by talking about the fact that athletes still experienced inadequate sleep in spite of the fact that we’re learning more and more about this. Compared to non athletes, athletes tend to sleep less, 6.5 to 6.7 hours a night and the quality of their sleep is also lower. Now, as I say athletes, I want you thinking about some of your clients. You have some, some high end executive, type A, hard pushing clients that you’re working with and they probably follow many of these same patterns. One of the interesting patterns that they mentioned here and on the first page of the research study, and that is very applicable to many of the clients we work, is that sleep has been become deprioritized. It’s almost like it’s a bragging right of, yeah, I only got five hours of sleep last night, or man, I hardly slept! Really? Still? So if you’re hearing that, that might be a nice warning sign that maybe you want to share some of this research with them if that’s something they’re interested in. What they also found is that a lot of times people don’t even realize that the decrease in sleep is harming them. One of the research studies they looked at from 2003 found that subjective assessments of your own sleep, kind of level off after awhile. So if you’re depleting your sleep, and depleting it further, and depleting it further, you realize that the first night, the second night, but after the first couple of nights, your body just kinda levels that off and doesn’t realize that it’s actually getting worse. One of the stats that you’ve probably heard before, but it jumps off the page, is that 28 hours straight of wakefulness, so that would be a full day and partially into the next morning, is equivalent to a .10 % blood alcohol content. That’s legally intoxicated. So we’re functioning, if we’re skipping the night’s sleep, we’re basically functioning under the legal intoxication. What they did in this review is they looked at three sections: the impact of sleep, the relationship between sleep and physical health, and strategies to optimize sleep going forward. Now, the first thing they walked through is how they pulled this. They basically went through and did specific search terms. You can dive into that, but if you’re curious about how they go about it, it might be a nice little lesson on how you might look up a topic that one of your clients are struggling with. The first thing they looked at in terms of results was physical performance. They found that treadmill tests showed shorter distances covered with sleep deprivation. They also found that overall reduced athletic performance took place when you have decreased sleep quantity/quality. Now, think about that in terms of our work performance, our daily relationships, it’s affecting your ability to do something relatively simple like run on the treadmill. Clearly it’s going to impact other daily pursuits. They found that reducing sleep duration for just five hours, so we’re not saying eliminate it, but reducing it to five hours for one night, not for a week, not for three days straight, but for one night reduced serving accuracy in tennis players 37-53 %. Think about that. It’s crazy. It found that increasing sleep, this was interesting and this might be a nice little test to have you do with with some of your clients if they’re up for it, they had some of the basketball players actually increased their sleep and what they found is that by increasing their average duration from 6.5 (6.6) to 8.5 hours a night, they saw a five percent increase in speed, a nine percent increase in free-throw accuracy, and a 9.2 percent increase in three point field goal accuracy. That’s crazy. Think of that. Most athletes would, I was going to say give their left arm, but that would affect their shooting percentage, but seriously at five percent improvement in speed, a nine percent improvement in shooting accuracy. Wow. Translate that to real life. They looked at neurocognitive performance. Insufficient sleep erodes neurocognitive function including attention, executive functioning, and learning. In terms of attention, they found that catching up on sleep doesn’t immediately restore your full performance. So all those concepts about. Yeah, you know, I’ll kind of just make it through the week and then I’ll catch up on Saturday. You can’t. I mean you eventually can, but it doesn’t just happen like that. Executive functioning, this is higher level thinking that is required to apply strategy, make decisions, and manage attention (It sounds like real life) goes down significantly when you reduce sleep. Learning, so if you’re working with any students, of any age, sleep fosters increased consolidation of memories and allows for faster and better performance on learned tasks requiring physical execution. Injury risk. Injury risk. Insufficient sleep increases risk of injuries. They found with adolescents, this is specifically with athletes but think about this in a work context, like a warehouse or a grocery store or hospital. Adolescents sleeping less than eight hours a night were found to be 1.7 times more likely to experience a significant injury than those sleeping more than eight hours. Wow. Illness susceptibility, you know sick time is a big thing with workplaces these days. Maybe you’re working with a client that is not just an individual, but it’s an employer and they care about sick time. That’s a big drain on their organization. Sleeping less than seven hours a night, what they did with this study is kind of interesting, they inoculated them. I don’t think I’d want to volunteer for this. They inoculate them with a cold virus and those sleeping less than seven hours a night were more likely to develop a cold than those sleeping eight plus hours a night. They repeated it. Those with less than six hours of sleep are more likely to get the cold than those sleeping seven hours a night, so it’s kind of incremental impact. Weight maintenance. A lot of research on this and you probably have some clients that weight is one of their key areas. They found that higher BMI is associated with slower sleep duration. And then pain tolerance is the last one and then they get into strategies, but listen to this, there’s an eight percent decrease in pain threshold tolerance after one night of total sleep deprivation. Think about that. There’s so much discussion around things like chronic pain and you know, being out of work due to some sort of an injury. Eight percent decrease in pain threshold. Wow. And then there was a followup study that looked at extending sleep opportunities and by the way sleep opportunity, that’s a key phrase you may want to talk through with some of your clients. It’s basically the concept of giving yourself the chance to sleep. You know, a lot of your clients will say, well, I don’t sleep. I’m just laying there in bed. It doesn’t do me any good. That may be, but the sleep opportunity is giving yourself the chance. You cannot sleep. If you’re reading your computer, you cannot sleep if you’re on your phone, you cannot sleep if you’re watching TV. But if you’re at least laying in bed, you may surprise yourself. So that’s the whole idea of sleep opportunity, increasing sleep opportunities for four nights, increased pain tolerance by 20 percent. Increasing pain tolerance by 20 percent? That’s incredible and that’s what sleep does. They do list some strategies, and this might be helpful to you as a coach. The first step in optimizing sleep is to get a baseline. Track how they’re doing. Have them track their sleep patterns for a couple of weeks if they’re up for it. There are a lot of different ways to do this. You can use a simple journal. You can use some of those sleep monitors. There’s Garmins, there’s Fitbits or Apple Watches, those kinds of things. Those are not always perfectly accurate, but it at least gives you a baseline and then once you had that baseline set, once you have that recorded or journalized, then you can get into some of the tips with them. Sleep environment, I think you’ll probably know most of these, but I’m going to run through them real quickly just in case. Sleep environment, cool, dark, quiet, comfortable. Ambient noise can cause disrupted sleep, so a room fan to cool the temperature, eye mask, earplugs, all those types of things can be helpful in moving forward. The second thing is pre sleep behaviors. Ending Caffeine use. A lot of people don’t understand that the half life of caffeine, which means half of it is still in your system three to seven hours later, making sure you’re not having any caffeine, and that includes teas. Tea can have quite a bit of caffeine. After, and I suggest 10:00 AM, this article mentions noon, but either way, avoiding the afternoon caffeine. Alcohol consumption. Also, if you can avoid that or limit it three to four hours prior to sleep. Many people, I might even say most people think that alcohol helps them sleep, but the way that alcohol is processed by the body, it can actually disrupt the sleep. So just know that or help your clients understand that option and if they choose to do it anyway, that’s a choice, but at least they know what they’re getting into. Exposure to light during the daytime helps sleep. Not at night, exposure to bright lights in the late evening can actually flip the switch a little bit, but early morning, midday sunshine, bright light outside, very positive. Tablet use, electronics use, phone use. I know you’ve seen this, I know it’s addictive for all of us, myself included, what one to two hours of tablet use before bed can impact Melatonin release and that’s what starts your body saying, okay, it’s time to dial it back and that can throw off your sleep. And then a consistent sleep wake routine. Again, a common pattern is people are up at 5:00, 6:00 AM throughout the week for work or to get their workout in and then they sleep till eight or nine in the morning on Saturdays and Sundays, sometimes later, and that does not optimize your sleep pattern. So that consistent sleep wake pattern is key. This is the last thing they go through, minimizing the impact of travel on sleep. A couple of tips here. One rule of thumb is it takes approximately one day to adjust to each time zone. So if you’re going from west coast to east coast, you’ve got several times zones. You got to work through in there. If you’ve got clients that are going to meetings, two things they can do. One, it’s a short term, you know they’re in and out, stay on your original time zone. If you’re going to be in there for three, four, five, seven days consider trying to shift a little bit gradually leading up to that trip and that’ll help. So again, that is a brief summary of an article that would be probably very valuable to look at. Titled Optimizing Sleep to Maximize Performance. It’s by Simpson, Gibbs and Matheson and it comes from the Scandinavian Journal of Medicine and science in sports. Second one we’re going to look at is titled Association Between Physical Exercise And Mental Health in 1.2 million individuals in the US between 2011 and 2015, a cross sectional study. I’m going to go relatively quickly through this one. Just hit a few highlights, but it may give you a few things to again to bring up with your clients. As I’m speaking this is a brand new article, it was just published August 8th, 2018, so last week. I’m going to give you the last name of the lead author so you can look it up. It’s Chekroud, c, h e k r o u d. The highlights of this, again, just trying to give you a little bit to look at. They look over some incredible data on how exercise relates to mental health. Those in the study were asked, now thinking about your mental health, which includes stress, depression, and problems with emotion, for how many days during the past 30 days was your mental health not good? Keep in mind if you’ve read Daniel Khaneman stuff, you’re familiar with the difference between experiencing self and remembering self. So clearly there is some variability here that wasn’t incorporated into the study because what you remember about the last 30 days based on how you’re feeling right now, today, when you answered that question, could be very different than what it actually was, but it still gives us a good kind of synopsis or overview for discussion. And then the followup question was during the past month, other than your regular job, did you participate in any physical activities or exercise such as running calisthenics, golf, gardening, or walking for exercise. Based on that data they basically compared and contrasted what were the patterns? What they see, and again, quick version of this, it’s pretty fascinating. What they found is that 45 minutes was really the sweet spot. Exercise durations between 30 and 60 minutes peaking around 45 minutes were associated with the lowest mental health burden. The pattern of optimal duration was broadly consistent across many exercise types, so running, cycling, team sports, that kind of thing. And interestingly they found that durations of more than three hours were actually associated with worse mental health burden than exercising for 45 minutes. Probably some self selection in there. In terms of, so that’s in terms of the amount of time. Now in terms of the frequency, also some interesting data, individuals who exercise three to five times a week had lower mental health burden in those who exercised, fewer than three or more than five. Interesting. Now again, keep in mind the context of this study, this didn’t say for optimal physical health, this didn’t say to manage your BMI, this didn’t say to be the best athlete you can be. It was strictly mental health to optimize mental health and again it wasn’t a, If you do this, then you’ll get that. It was a review of data to say, retrospectively, what are we seeing? Keep that in mind. It’s a cross sectional study. They’re looking at the pattern retrospectively. They’re not taking a group of individuals and saying, okay, this group over here, I want you to exercise 45 minutes, this group over here, three hours and this group over here, no exercise. That that would be a completely different type of study that would really dive into more specifics around this and there will probably be followups. Again, this was just published and it brings to light some great potential. So duration for mental health only, not for any of the other elements that you’re focused on as a coach. Duration 30 to 60 minutes. Frequency, three to five days. So that’s your main piece that you want to take out of this study. A couple of things they said to keep in mind, the steady relies on our participant’s own assessment of mental health burden without use of structured interviews or standardized rating scales to determine mental health burden, so that’s a pretty big drawback, but again, the purpose of this was to get the conversation moving in the right direction with all the focus on mental health. Our goal with today, again, was to try to help make sure that as an effective health and wellness coach, you’re not falling prey to the fads. You’re not depending on headlines to provide the data that you discussed with your clients. You’re digging in, you’re finding out what is the research actually say, not what was someone’s interpretation of it, but what does the data actually say and how can you use that to help optimize the lives of the clients you serve. And that brings us to the close of the latest episode of the Catalyst Coaching Podcast. Thanks for joining us today. If you like what you hear, there’s much more where that comes from. Feel free to subscribe on Itunes or wherever you access your podcasts and if you don’t mind sharing this with somebody else another peer in the coaching arena or someone who’s thinking about it, we’d really appreciate that as well. You can always reach out to us at Results@CatalystCoachingInstitute.com or check out other resources related to these materials as well as show notes at CatalystCoachingInstitute.com. Thanks so much. We’ll see you next time.